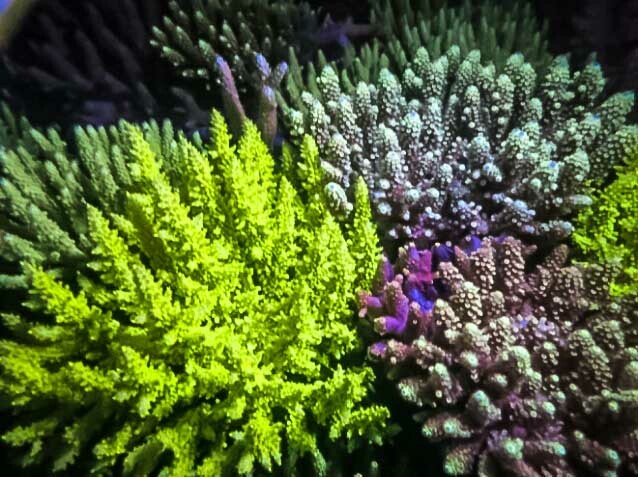 Glow in the Dark with Reefscapers ! 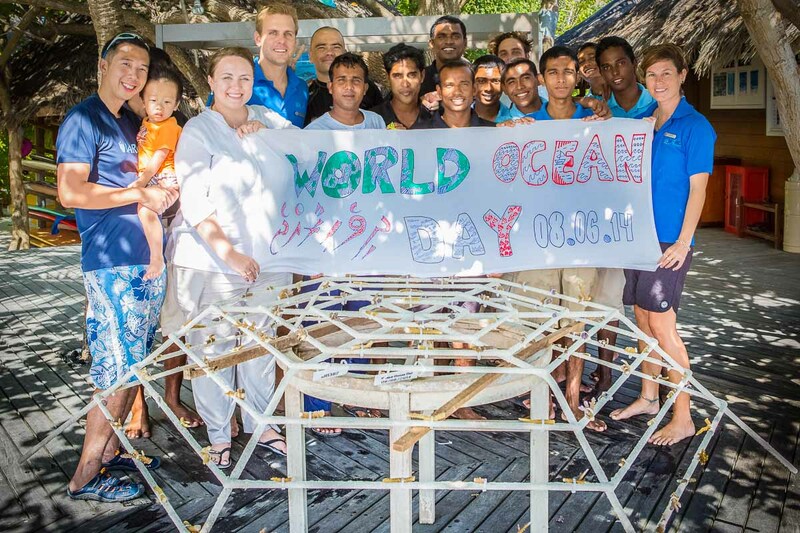 At Landaa Giraavaru, 31 new coral frames were transplanted in June, and we also built a large frame for World Oceans Day, so we now have a total of 2,212 frames in our lagoon. 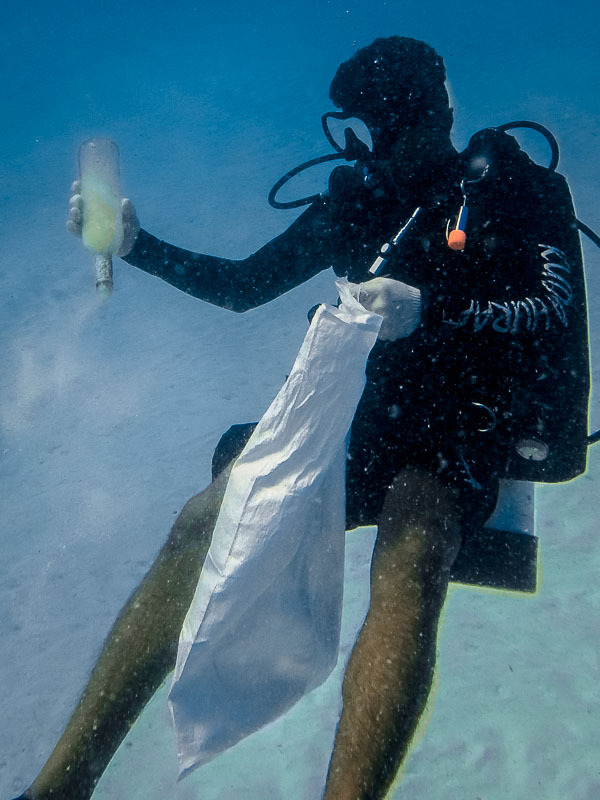 We also monitored a further 161 frames this month, mainly in the Al Barakat and Blu areas, and spent time maintaining, cleaning and photographing them. 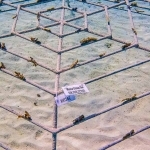 Some older frames in the shallows have been sinking into the soft sand, so these were raised up. 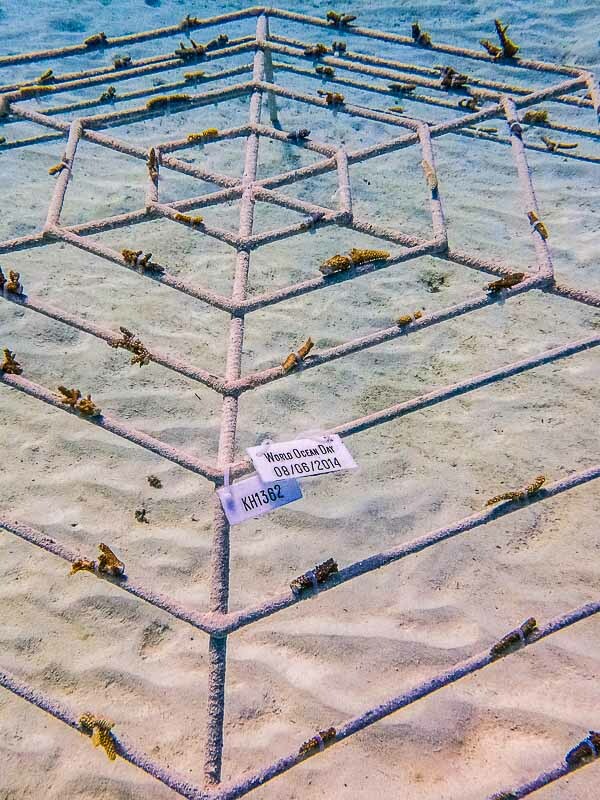 Any missing coral fragments and ID tags were replaced, and we observed that recently transplanted frames are growing very well. 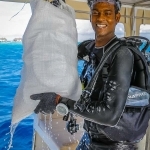 Our Four Seasons apprentice Mirufaag has been working hard this month, updating our coral frame GPS map in the ‘Moon Reef’ area (below). 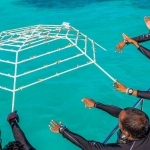 At Kuda Huraa, a total of 11 new coral frames were transplanted and deployed during June, mainly in rocky parts of the House Reef to the north. 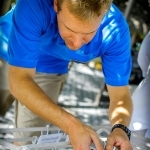 We are continuing our extensive frame maintenance work, re-transplanting any missing fragments, and relocating any necessary frames along with remapping their GPS locations. 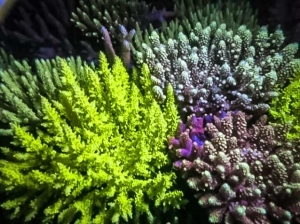 At night time, if we use controlled light of specific wavelengths to illuminate certain species of corals, they exhibit a phenomenon known as fluorescence where the dull brown colour takes on vivid rainbow hues. 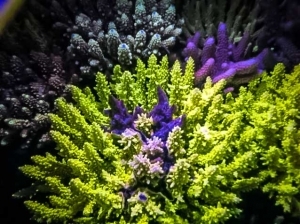 Only a few species of corals possess this unusual property, and it’s not known why it occurs. 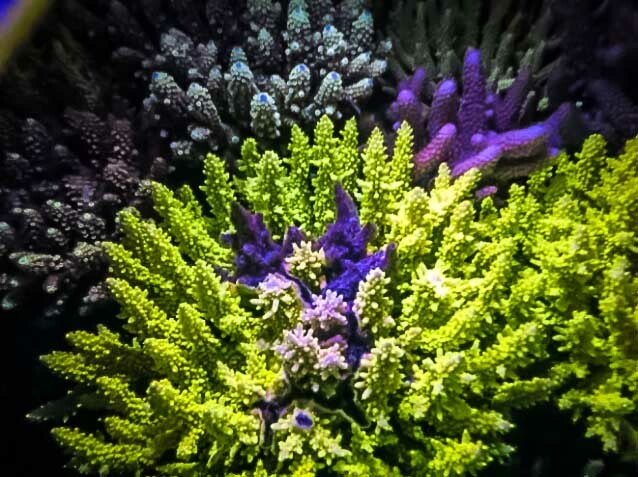 • advertise the health of a coral colony. 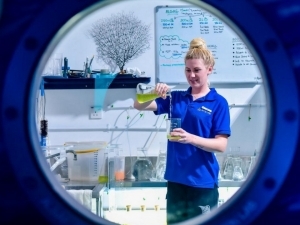 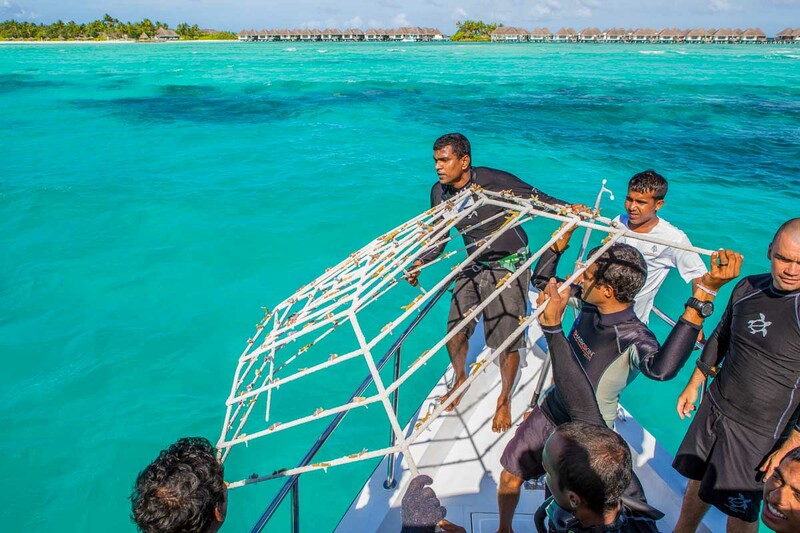 We hope to experiment further with coral fluorescence, and are looking at creating a new eco-feature for the Kuda Huraa water villas … watch this space! 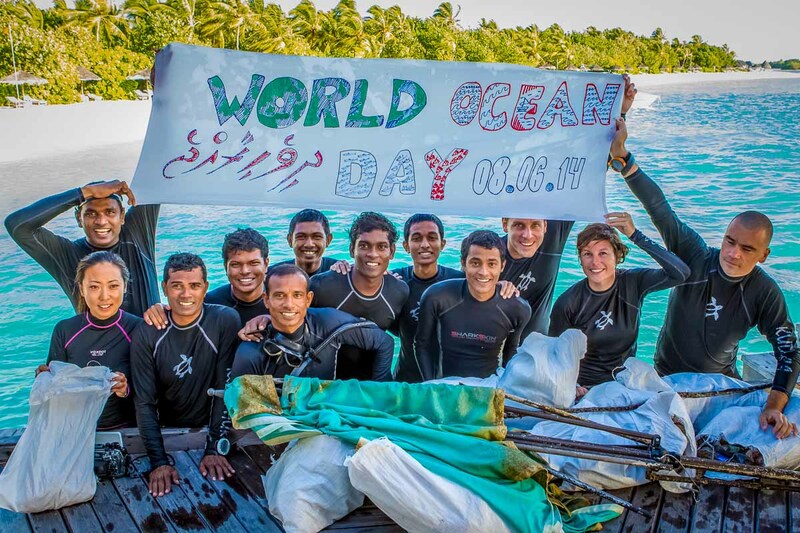 World Oceans Day has been celebrated on 8 June since its inception in 1992 at the earth summit in Rio, Brazil. 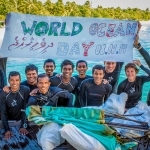 It was officially recognised by the UN in 2008, with The Ocean Project and the World Ocean Network coordinating global awareness and annual events. 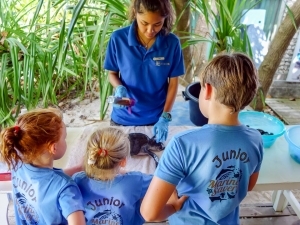 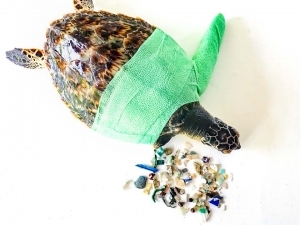 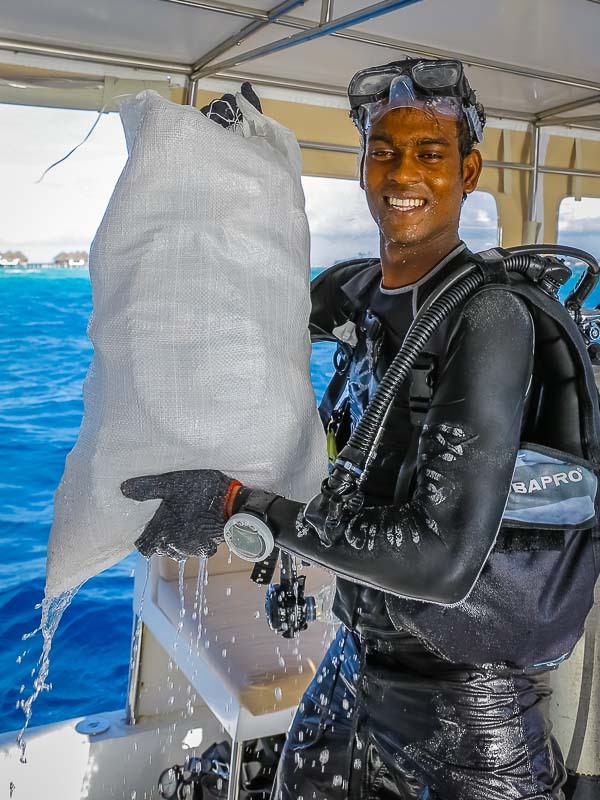 In order to take part this year, the Marine Discovery Centre at Kuda Huraa organised several activities to show the different ways that people can get involved in protecting the oceans. 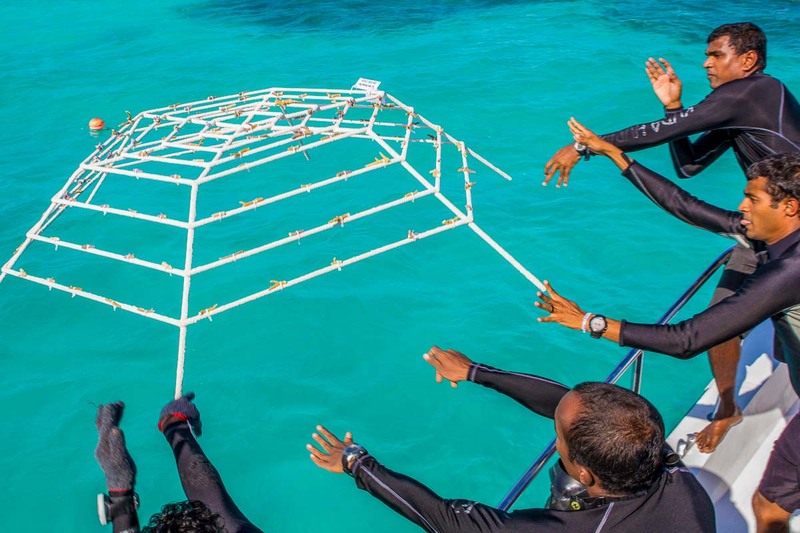 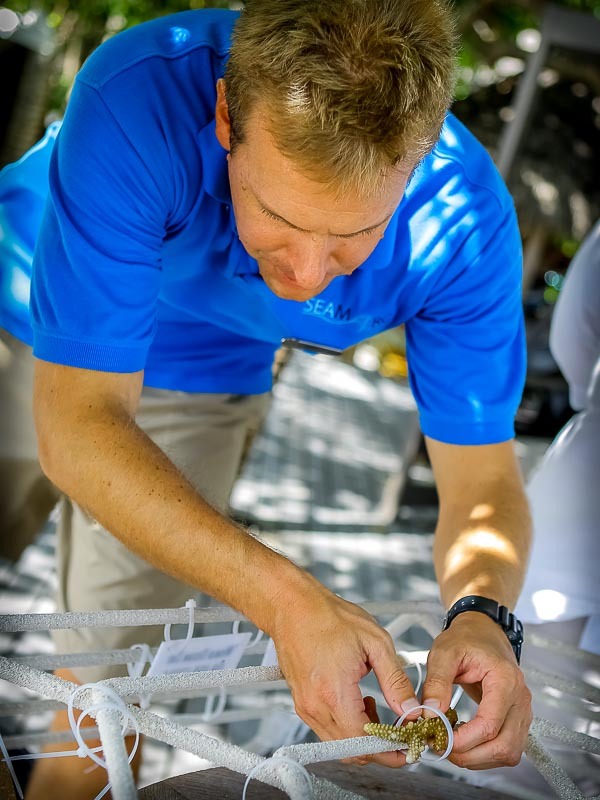 Some staff and guests helped us with a special large coral frame to commemorate the day; we attached coral fragments and the Dive Centre positioned it on the House Reef. 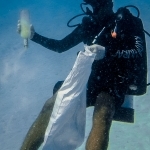 Divers and snorkellers also helped us with a reef clean-up, collecting twelve trash bags in total. 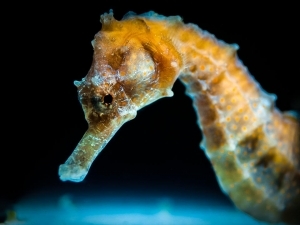 You can enjoy the photos here (thanks Naoko), and a big thanks to everyone who took part !